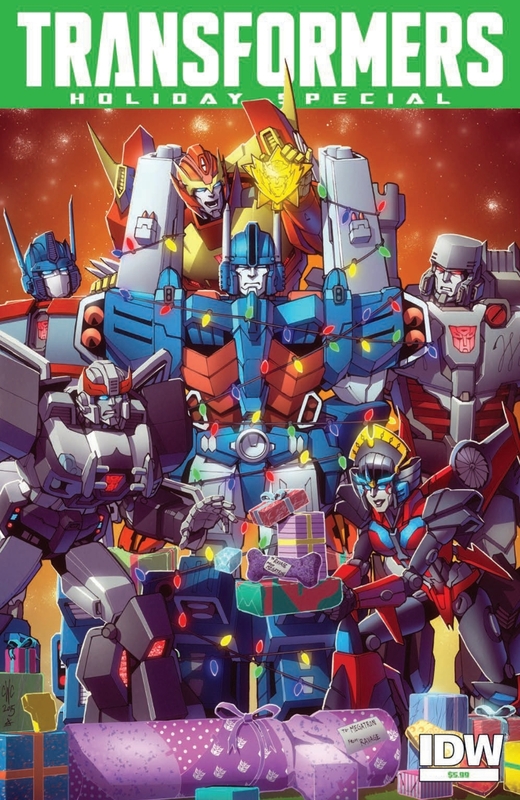 ’tis the season to be jolly, of peace and of goodwill – and in this preview of Wednesday’s Transformers Holiday Special, we learn that this special sentimental time of joy is not just limited to Earth – Transformers celebrate Christmas, too! 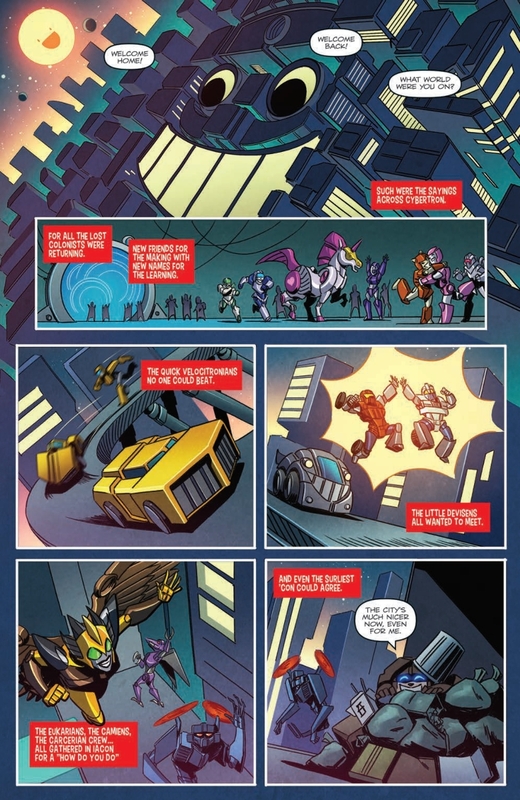 In this special full-length preview via Newsarama, we get to see the unique combination of Transformers and Dr Seuss as Starscream introduces Christmas to Cybertron! 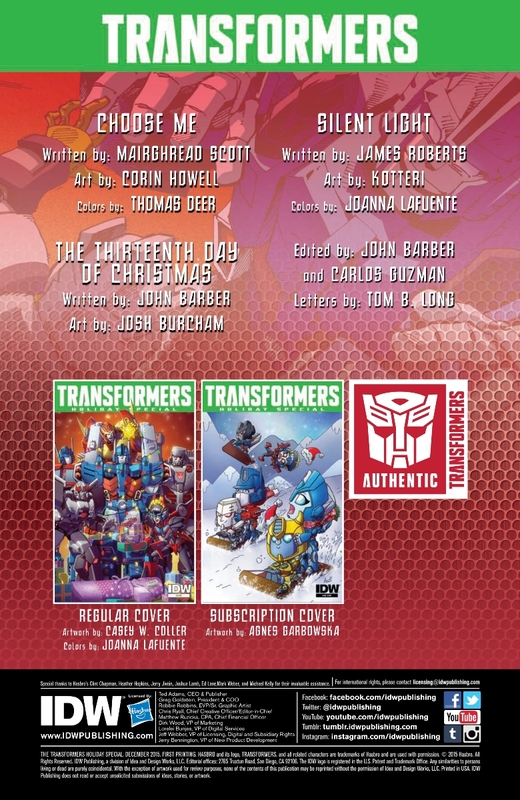 Be sure to check out what is certain to become a classic festive Transformers special! …And starring Bea Arthur, Art Carney and Harvey Korman as some kind of horrid Combiner team! I never realized how much I wanted this until now. This seems like it's gonna be a weird Grinch/Carol mash-up. 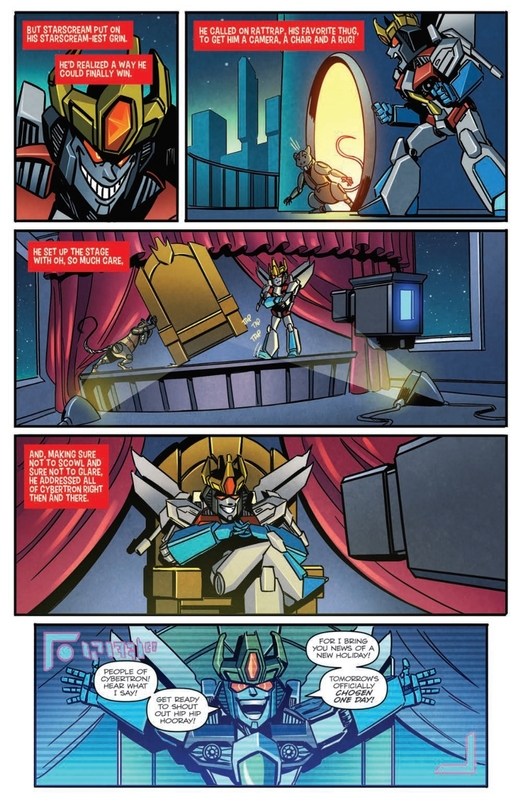 Is… is Rattrap actually portraying the dog/servant from the actual story?!!! 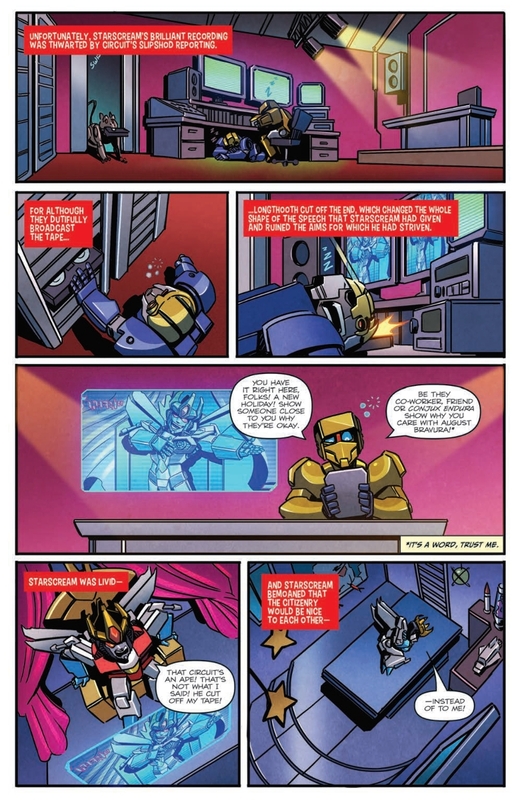 We're getting a lot of TF comics next week. 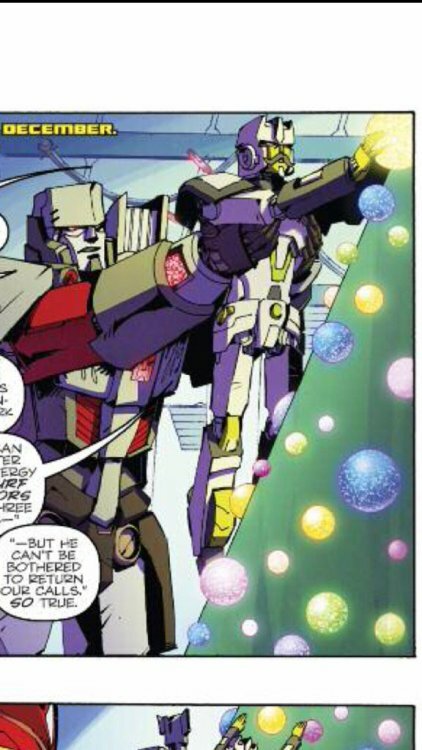 – accidentally creates Cybertronian version of Christmas. 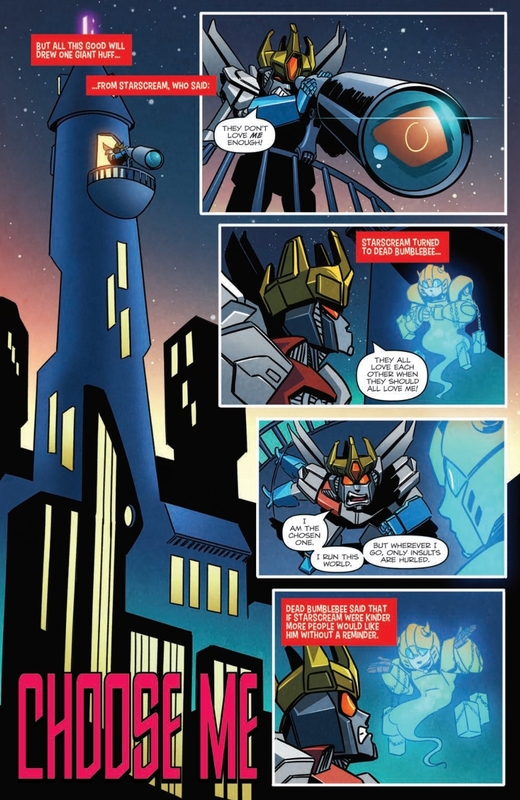 too bad there isn't an alternate cover of Starscream saying..so what? Remember Marvel UK's Christmas themed stories? Those were a lot better. I'm sorry, but I don't think you can judge the quality of the whole book which we know has multiple vignettes from multiple authors, based on a handful of pages from the first story. Plus, that is just your opinion, and while I respect it, I respectfully disagree. I feel that Howell's art really fits with the story here. I'm very glad this won't be delayed until the 30th, like my comic shop told me. I am not normally into this style of comics, but I really like how they did this. Hahaha, that is awesome. Love it! 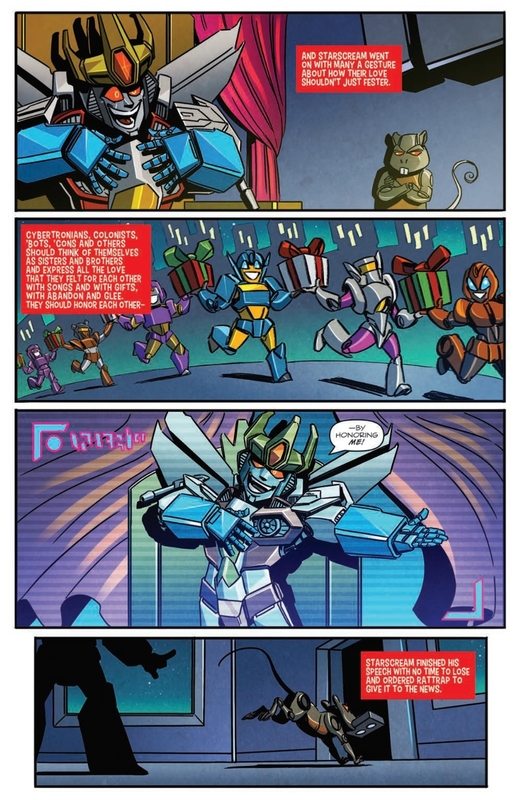 So Starscream ends up introducing Christmas to Cybertron? Classic. I'm loving this! Now get it out already!